Featuring seven plays chosen from more that 700 submissions as part of Young Playwrights' Annual Playwriting Festival. 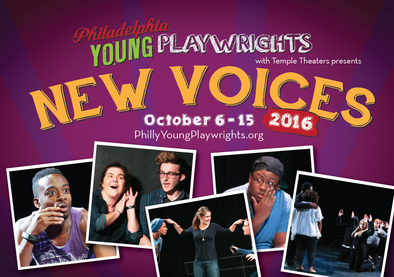 Written by students, directed by theatre professionals, and performed by Temple undergraduate actors. Be the first to experience new works by our latest class of playwrights -- Cohort16. Entrance is on 13th Street between Norris and Diamond.